The Jamaica Urban Transit Company (JUTC) offered its own impressive showing with a booth to pitch its “Smarter Card”. The Smarter Card is a cashless payment system for public buses, much like the Metro Card used in the US subway systems. The standard sized plastic card is embedded with an NFC chip which keeps the cardholders basic data and payment history. The card is “topped up” at designated areas, including the “pop up top up” station at Expo Jamaica. The topped up card is then tapped on the validator located in the bus to effect payment for the bus fare. Simple. Elegant. Yet not fully adopted. 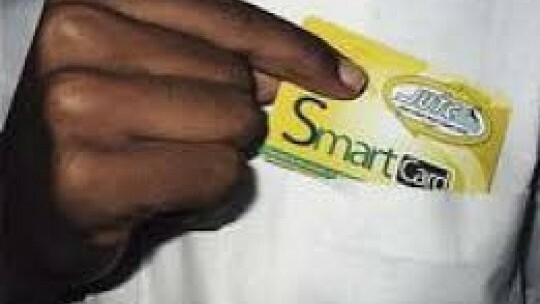 At the Expo and elsewhere, the public has free access to the JUTC Smarter Card; that means that all money “credited” the card immediately reflects on the account, in full. As an additional incentive, Smarter Card users get Magna Rewards benefits when they tap. Yet, still, not fully adopted. Though the JUTC has attempted a cashless transit system many times, commuters are not warming to the idea as quickly as they would like. The benefits of the system, like similar systems used all over the world, are too numerous to list here. The limitations of the system, however, are not. I can’t wait to see the system expand to offer convenient online and ATM top up like Highway 2000 East West Tags or mobile provider credit. The top-up locations, though growing, are still limited resulting in long lines at some locations. Bulk top - facilitating employers to deploy benefits and transport allowances directly to cardholders - is another feature that could boost adoption. The Smarter Card is a great initiative; let’s hope it lives up to its potential sooner rather than later.